Although lung transplantation is a valuable therapeutic option for some patients with end stage lung disease, its success is limited by development of obliterative bronchiolitis (OB). In this month’s Thorax, Borthwick and colleagues report evidence that cells can undergo epithelial to mesenchymal transition (EMT) and this may underlie the pathological processes that lead to the development of OB. EMT refers to a process where epithelial cells undergo transformation to become fibroblasts and/or myofibroblasts. In the accompanying editorial, Willis and Borok discuss the application of these results and suggest that given the lack of progress with therapy for OB, results from this study will make us review the pathological basis of this condition and lead to development of new treatments that will ultimately improve the outcome of lung transplantation. 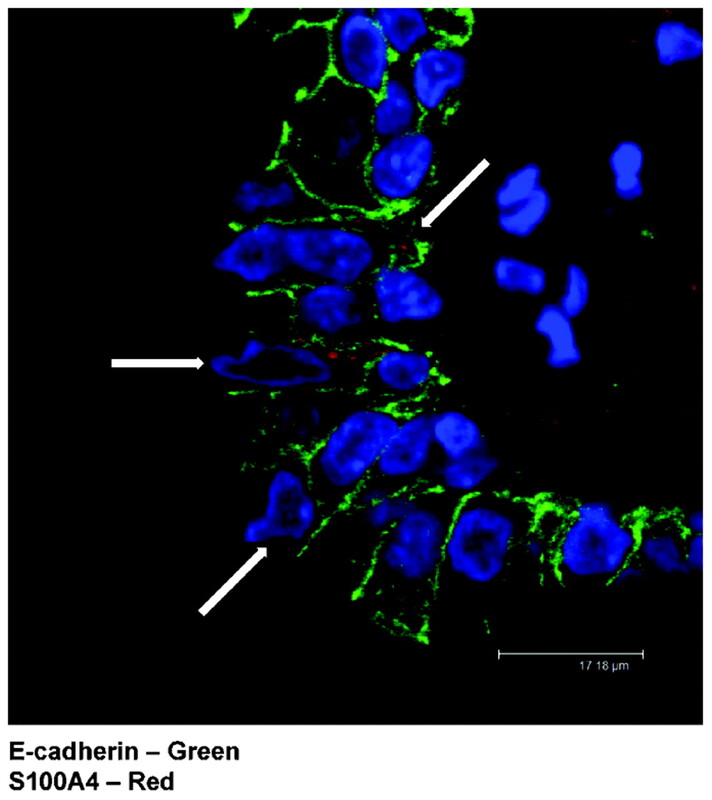 Co-expression of e-cadherin and S100A4 in epithelial cells from patients with obliterative bronchiolitis. Arrows show co-expression of e-cadherin and S100A4. 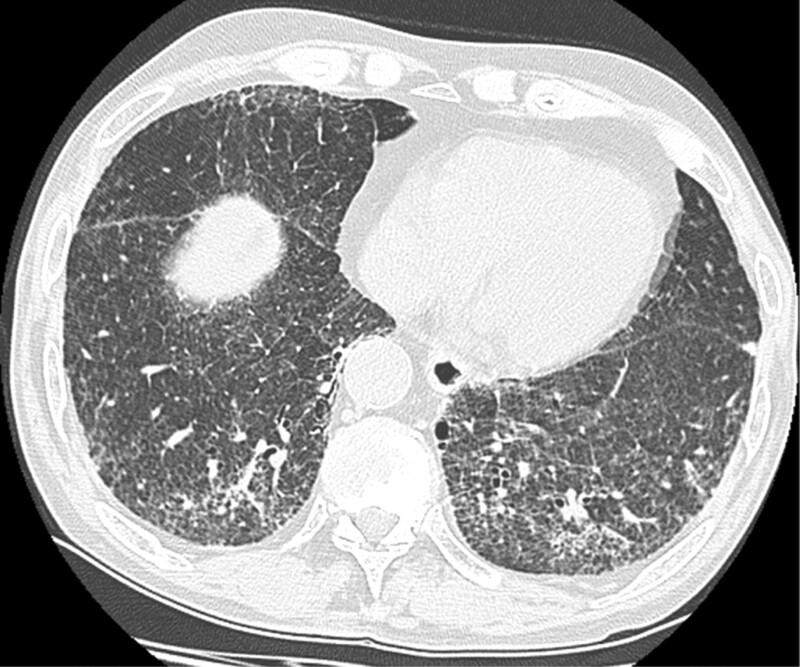 A number of guidelines, both in the UK and North America, have provided standards on the time to diagnosis and treatment of lung cancer. Most of these recommendations have been based on clinical opinion, as the body of evidence on this subject is small. In this issue, Olsson and colleagues describe a systematic review of studies relating to timeliness of care in lung cancer performed between 1995 and 2007. Most of the studies were European and, despite the increasing emphasis on prompt delivery of healthcare, times to diagnosis of lung cancer in a variety of healthcare settings were longer than recommended. The authors also conclude that it is not clear that faster management improves outcome and more information is required on factors affecting timeliness of treatment. The issue of maternal smoking is important and in this issue, Hayatbakhsh and colleagues report on a 21-year follow-up of an Australian cohort study of the effect of maternal smoking on lung function in early adulthood. The results show that in utero exposure to maternal smoking, regardless of smoking post pregnancy, is associated with a modest reduction in small airway flow rates in males but not females. This association is mediated by the child’s birth weight and history of asthma. The data emphasises the importance of smoking cessation during pregnancy to reduce the burden of chronic respiratory disease. Patients with sepsis are at high risk of developing acute respiratory distress syndrome (ARDS) although there is little information on biomarkers that can predict these events. Elevated serum bilirubin may induce inflammation and apoptosis. In this issue, Zhai and colleagues report on a study in patients with sepsis and show a higher serum bilirubin level in those patients that developed ARDS. Septic patients with higher bilirubin levels also had increased mortality. Thus, the serum bilirubin level in patients admitted with sepsis to the intensive care unit may be an early useful outcome predictor.